Everyone probably has a baking horror story or two in their repertoire, of cakes that came out flat, or custards that curdled, or muffins you could have chipped teeth on. In conversation a couple of years ago with a chef acquaintance, he and I agreed with the statement that, while cooking is a science, baking is more like alchemy. If you think about it, there are a great number of chemical reactions that must occur in a particular order, at a particular time, for most baked goods to be successful. If you are lucky enough to have been taught how to bake by a skilled family member or friend, you may have heard reams of helpful advice that you might never find in a cookbook; it’s these little hints and suggestions that can often save a baked good from failure, or raise it from mundane to exquisite. 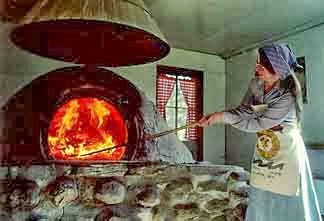 Below are some tips and tricks that I have gleaned from several sources around the ‘net and my own experiences that may help you to be a better baker; since there are so many, I have separated them out into sections. This post will be about butter/fats and eggs. Try one or many of these tips, and see how they work for you! As always, comments are appreciated, especially if you know of some baking tips that I haven’t mentioned below. Vintage baking recipes will not distinguish between using unsalted and salted butter; however, it is strongly recommended to use unsalted butter for modern baking. When just making cookies or quick-breads/muffins, any unsalted butter should do (or salted, if you’re in a pinch), but if making pastry, the higher the quality of unsalted butter you use, the better it will taste. Pour boiling water into a small glass, pottery, or china dish that is slightly larger than your butter; let it stand a minute or two to thoroughly heat the vessel, then dump out the water and place over top of the cold butter. Within a few minutes, the butter will be softened enough to cream successfully. Cut the butter into small chunks: Small chunks soften much more quickly than the whole stick or pound. 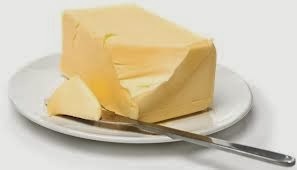 Pound the butter: Put the butter in a ziplock bag and use a rolling pin or meat mallet to flatten the butter. This softens the butter while still keeping it cool. A few minutes on the counter and the butter will be up to room temperature. If you’re in a hurry, set the butter over a warm water bath. Pour a few cups of very hot (just below boiling) water into a double boiler or a sauce pan with a metal bowl nested inside. Put the butter over the water bath and allow to soften. Keep an eye on it so the butter doesn’t start to melt. Don’t use spreads to replace butter, margarine or shortening one for one in a recipe. Spreads contain less fat and more water, so they won’t perform like butter or margarine. Easily measure shortening without the mess by filling a large measuring cup with cold water, minus the amount of shortening you need. Add shortening to complete the fill, then pour out the water and you have the exact amount of shortening you need for the recipe. (example, in a 1-cup measuring cup, fill to 1/2 cup with water, then add shortening until the cup is full = 1/2 cup shortening). If your recipe requires a quantity of melted butter, melt the butter first, then measure it for a more accurate measurement. 1 large egg = ~50 g, 1 large egg white = 30-35 g, 1 large egg yolk = 20 g. 1 egg white is also equivalent to 2 tablespoons worth. Eggs separate best when cold, but whites whip best when they are room temperature or warm. Eggs perform best in a baking recipe when they are room temperature; don’t use eggs just out of the fridge for any recipe. 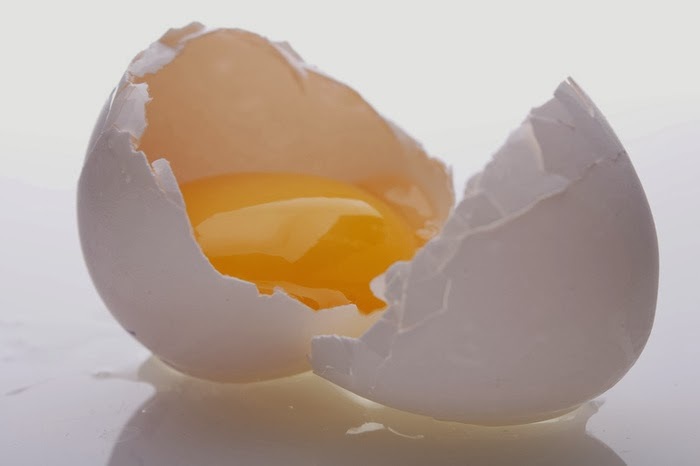 To quickly warm an egg, place uncracked egg in a bowl of very warm (but not hot or boiling) water for 3-5 minutes. Pasteurized egg whites in cartons freeze well; just pull it out of the freezer night before you need it. 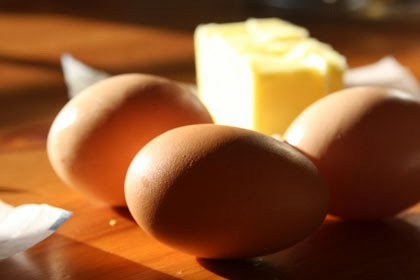 Beat egg yolks with a fork before adding to your batter to ensure a more even distribution. To retrieve stray eggshells in your mixture, use the emptied half-shell — eggshell sticks to eggshell. If you don’t get them all, they will sink during baking, so you can turn a baked cake over when cool and carefully pick them out. If you leave a drop or two of yolk in your separated egg whites, they will not whip as effectively (or at all) into meringue; to retrieve one or two drops of yolk, use an emptied eggshell to scoop it out. This will not work if you have a lot of yolk in your whites (you will have to start over). When mixing egg whites for meringue, wipe all utensils and bowl with vinegar or lemon juice on a paper towel before they come in contact with the egg whites (including the mixer whisk attachment). Any trace of grease will jeopardize your meringue. To check freshness of eggs, put in a bowl of water–if they sink, they’re fresh. If they float and stand on one end, they’re not. ”Eggs” typically means Grade A, large eggs. When making macarons, the older the egg whites are, the better they work. Age your egg whites by leaving them on the counter at room temperature overnight (ONLY RECOMMENDED if using pasteurized egg whites from a carton). Check back for my future posts on other ingredient tips and tricks!